Find the answers to our most commonly asked Equity Painters questions, listed here. In most cases, we provide you with a printed proposal at the end of the on-site estimate, along with a price that includes all materials and labour. Make a list of all the work you want done for each room or on the exterior of your home. Make a list of what you did and did not like about your last paint job or painter. The estimate will take approximately 60-90 minutes. Absolutely! We realize you may have priorities and we are glad to help in any way we can to get your job done, all at once, or piece-by-piece. As a painting company that prides itself on quality and professionalism, we can repair holes and cracks in drywall before we start painting. We offer a variety of other services, too, including repair of rotted wood, wood siding replacement, window sill repair, and other small carpentry jobs. If it’s not listed just ask! We want to earn your business. Our professional painters work with multiple suppliers including Benjamin Moore, Behr, Dulux, General Paint, Cloverdale Paint, or any other brand you may prefer. We can recommend a variety of zero- and low-VOC paints for low odour. We always try to be eco-friendly. Prior to your painting service, we ask that you move fragile or breakable items, for example, pictures, glassware, and electronic devices when possible. We can move furniture and even a wall-mounted TV, if needed. Upon completion of the room, we move everything back into place. 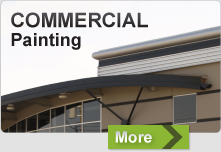 Yes, we offer commercial painting services all year long. We can paint exteriors and interiors of buildings including new construction, multi-family units, apartment complexes, condos, and more. Of course! To see both residential and commercial examples, please visit our gallery. Why should I choose Equity Painters as my painting company? 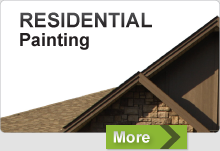 Whether you need a commercial or residential painter, we have the expertise to get your job done! We guarantee our work will be done within your budget, finished on time and most importantly, done right.